Roboception has won the “Best of Industry Award”, awarded by the German trade magazine MM MaschinenMarkt, in the “start-up” category. Our rc_visard sensor family convinces once again: According to the laudation by Markus Kafara, it is not only a high-quality technological development; the significant benefit of this product for a variety of robotic applications and domains is highly obvious, which makes it an extremely promising innovation. 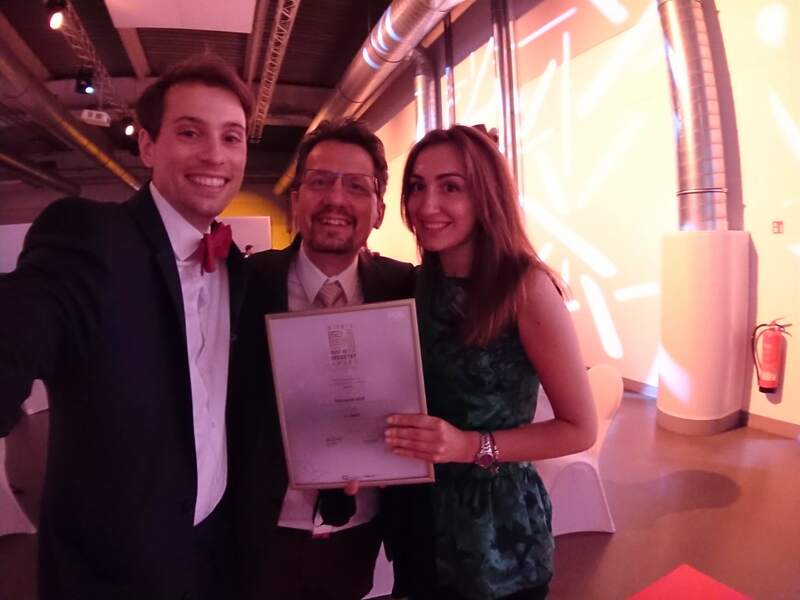 As one of four nominated start-ups, Roboception won the award that is based on a public vote and an expert jury decision – and (admittedly with a narrow lead) received the award during a marvellous gala in Wuerzburg on June 7th. We would like to thank all our customers, partners, friends and followers who have supported us with their vote during the online voting process!